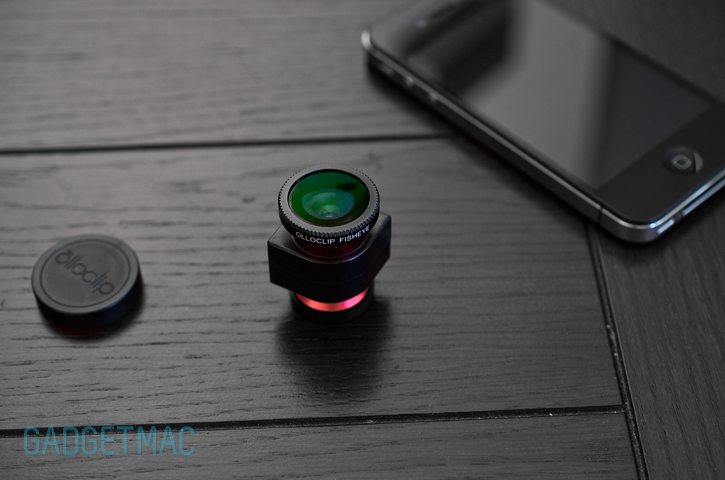 The olloclip for the iPhone 5, a $70 3-in-1 quick-connect lens apparatus, is now also shipping with an included iPod touch 5 adapter which can also be purchased individually by existing olloclip owners for $10. The olloclip is one of the best lens adapter accessories that we have tested, although it isn't case-friendly. It features a fisheye lens for capturing 180 degree photos, a wide-angle lens that nearly doubles the iPod touch 5's field of view, and a macro lens for detailed microscopic closeups. 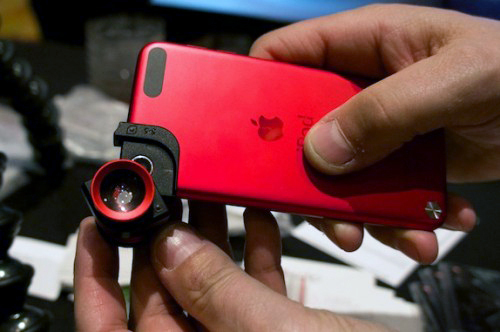 It can be ordered starting today in white, red and black colors directly from olloclip.